I have been searching high and low for a pillow that is soft and flat enough for stomach sleeping. THIS is the best pillow I have found. I will never purchase another stomach sleeper pillow. Perfect for stomach sleepers, this pillow offers comfort. The thin design is ideal for sleepers who find most bed pillows too full, and the soft cotton is machine washable for easy cleaning. Please note: this is a very flat pillow. Some customers have bought this pillow thinking extra soft means extra fluffy, this is not the case. It is also a great way to add a layer of cushion on an existing pillow. Many of our customers love how moldable it is. Very Soft. Probably works better if sleep mostly on stomach. Was comfy but I think I like a firmer pillow. Will likely get something different. When says extra soft that is a good description. My husband loves this pillow, so comfortable. I love this pillow because he has stopped snoring:) the extra soft feature is excellent for stomach sleepers! I don't ever write reviews, but I am soooo happy with these pillows. I held onto my old pillows for more years than I care to admit because I'm so picky about pillows! Stomach sleeper here, and I need something flat that I can smoosh into a ball. When I took these out of the box, initially, I thought there was no way it was going to work. They looked a lot fuller than in the picture. But I have been pleasantly, pleasantly surprised. These things are soft and fluffy but are easy to smoosh into a ball and position comfortably wherever you need it. And fun fact about me, I have ADHD and ended up in a 7 hour internet research rabbit hole trying to decide which confounded pillows to buy- price shopping and reading every review and the pros and cons of every single material that has ever been used in the history of pillows... all basically to say, if you're looking for a super soft pillow that smooshes flat for stomach or back sleeping and is constructed well and priced reasonably (although those fluctuate), stop looking and buy this pillow on this site. I couldn't be happier with this pillow. I had zero problems throwing my old pillows away, finally, after only 2 nights sleeping with these. Softest pillow ever - but not too soft. Still supportive. I LOVE this pillow and will definitely be buying more! This pillow is very comfortable and great for people that sleep on their stomach . Light weight I would recommend it . I purchased this pillow and the Sweet Dreams Silky Satin Pillow case with Hidden Zipper and love, love love! The pillow is very soft and cuddly. My husband has a hard time finding the right pillows and these were perfect for him. He likes a soft pillow that sinks in around his head and he sleeps like a baby with these pillows. 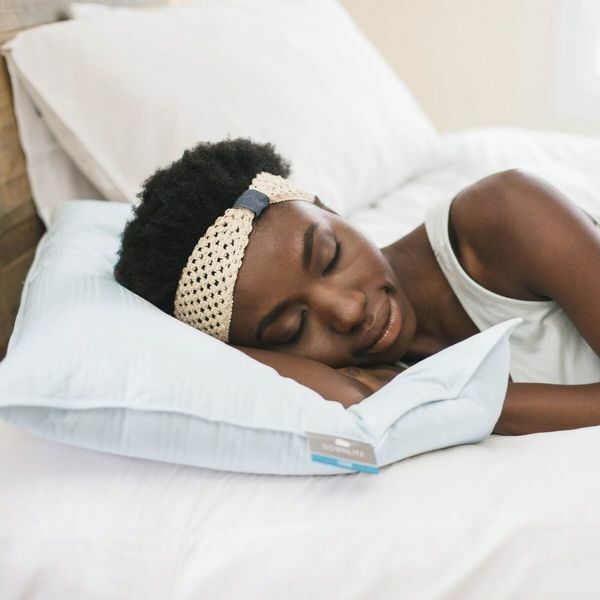 It is tough to get a good nights rest when you sleep on your stomach and the pillow is just not right, my daughter whom I shipped this too, acuatly says it IS comfortable and no backache when she wakes up! Win! I am sleeping better and waking with less neck and shoulder pain since I purchased these pillows. I received them quickly and well packaged. These are the best pillows I’ve found since surgery on the discs in my neck. these are very comfortable pillows.My head sinks right in ,a good night sleep ! Forgot how much I love down pillows. "Are these pillows cool? The pillows I have now are very warm and make my head sweat."